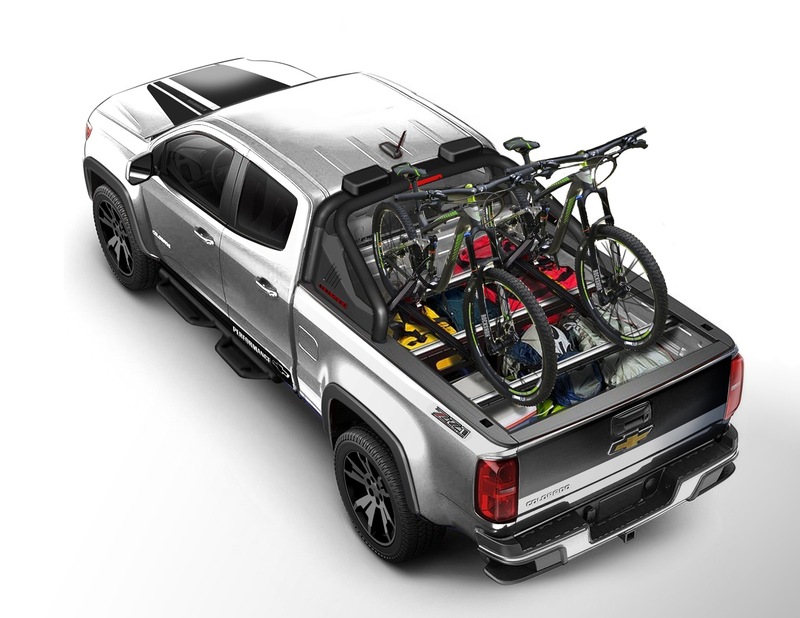 “It’s not just mountain bikes, but just about any passion you can name, from kayaking, fishing, dirt bikes and more,” said Tony Johnson, 2015 Chevrolet Colorado marketing manager, upon the introduction of the Colorado Sport Concept, pictured above. The athletic truck will show itself to 2014 Texas State Fair show-goers and then at the 2014 SEMA show in early November. 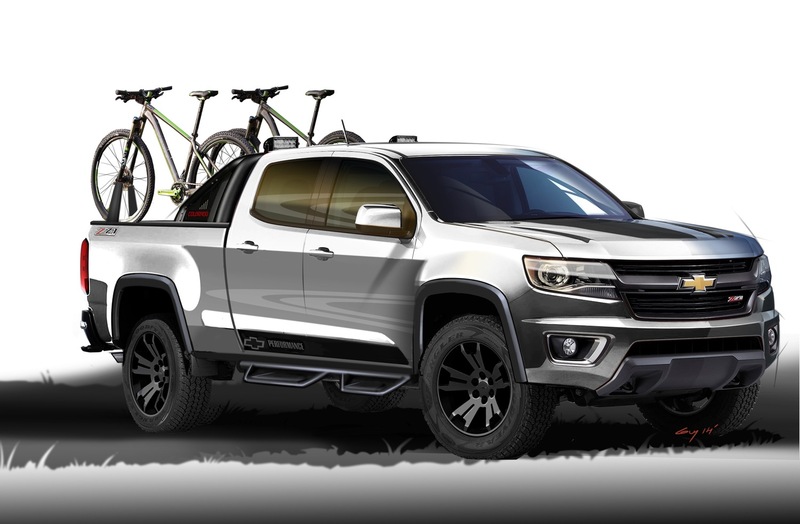 Additionally, the 2015 Chevrolet Colorado Sport Concept wears unique concept wheels that are being evaluated for future production. Maybe for an upcoming ZR2 model, perhaps. For those interested, the midsize truck begins at$20,995, which comes with 2WD and a 200-horsepower 2.5L four-cylinder engine in extended cab form. Next story Chevrolet NASCAR Driver Tony Stewart Not Charged For Death Of Kevin Ward Jr.
Is that my cell phone battery about to explode in my pocket, or is my truck fund getting all hot and bothered? Still want a V8 option though!!! You wouldn’t be able to afford a v8 option. This truck isn’t built to handle it. the Transmission/driveline would grenade pretty quick. I really like the shape and style of these trucks. They are definitely a step forward from the last go around. I think they are going to do well. True, not bad for a computer generated model. Let’s see a real photo and how it looks.